We are not the most adventurous eaters. When the fun people from Persimon’s came calling to see if my children and I would like to try some Persimon persimmons this Christmas season we hesitantly said yes! 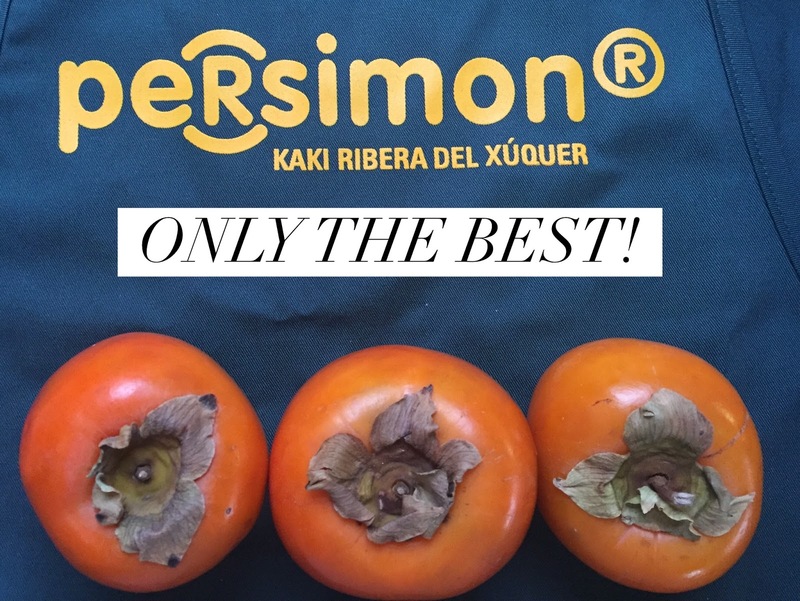 “Persimon® is the registered trademark used to identify the Rojo Brillante variety of persimmon grown in Ribera del Xúquer near Valencia in Spain. 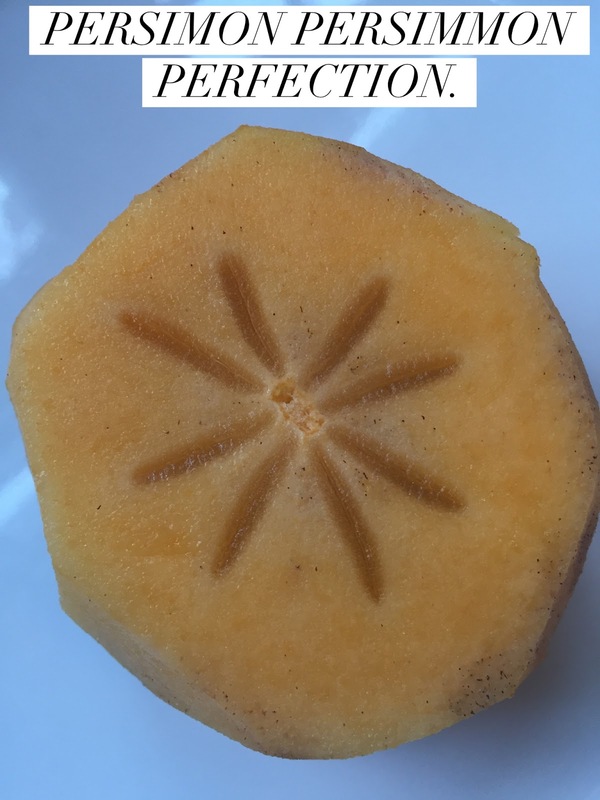 The fruit, which is an indigenous variety to the region, was first discovered growing in Valencia more than 50 years ago and is thought to have developed naturally from the conventional persimmon varieties that were introduced into eastern Spain. Rojo Brillante, when translated, means bright red, however, it does NOT reflect the colour of the fruit. The Persimon® is actually bright orange and can sometimes be speckled with natural sugar freckles, which appear as the fruit ripens (just like bananas). These freckles are a sign of extra sweetness. We found the Persimon brand persimmons at our local Metro store. I checked out the site to find out more about the pearl of Valencia as well as tips for cooking and preparing persimmons. Andie taste tested the fruit raw, after it was peeled and sliced. She described it as tangy and sweet. Like a cross between a peach and an a mango. With a little research we found out that the brown specs are natural sugar freckles. Cookies were the orders of the day, using one of my tried, tested and true recipes. However, I was unsure how much Persimon persimmon to use. I peeled and sliced two persimmons, then I placed them in the microwave for 3 minutes to soften the fruit. Once softened I pureed the persimmon with my hand mixer till smooth. Beat Becel® Buttery Taste margarine with sugars in large bowl. Beat in eggs and vanilla until blended. Gradually add in flour mixture; beat just until blended. ****Spoon into muffin tins and bake for 18 minutes at 350 degrees. Now this is where our adventure took a turn. 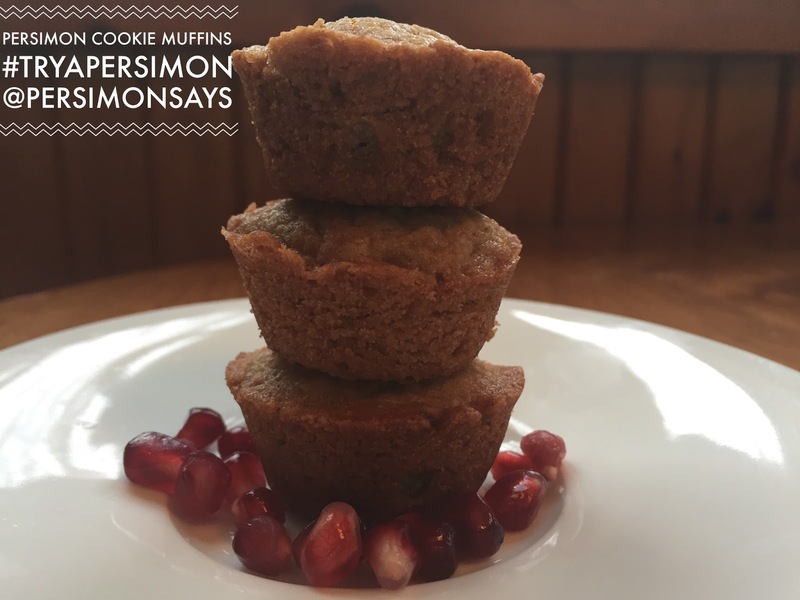 After I added the pureed persimmon into the cookies batter, it took on the consistency of muffin batter. Andie suggested we bake the mixture in muffin tins and voila we have Perfect Persimon cookie – muffins! We added pomegranate seeds for a splash of colour and to add texture to the plate. I cannot take credit, my little foodie Andie decided it would be a lovely pairing of two sweet treats. If you would like to find out more about Persimon persimmons you can check out the #TryAPersimon hashtag and the @PersimonSays handle on Twitter. ← Win a Church & Dwight Prize Pack!